10/27/11 – William Kellibrew IV, a former UDC student and USGA President. He was recently recognized as a White House Champion of Change. 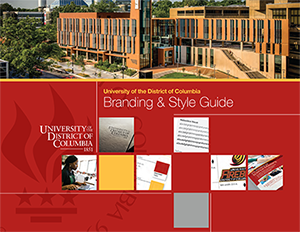 8/26/11 – University of the District of Columbia goes off the grid. 6/23/11 – Become a Master Watershed Steward in the National Capital Region! – UDC is hosting a sustainability related academy this fall. 2/9/11 – UDC Athletes “Play for a Cure ” Come and Support the Fight Against Breast Cancer! 1/31/11 – Dr. Deepak Kumar, Chairperson of the Department of Biology was honored by Georgetown University at the Patent Award Ceremony.